My friend has recently got the game and is experiencing some... issues. Everything seems to be alright at Olisar, but as soon as a ship him over to Lorville things get interesting. Most players render as invisible, and the trains and elevators are 95% of the time a black void, thus killing him if he walks in. He's verified the files loads and the only way we can fix this for him is to log into his account and then move him back to Olisar ourselves. 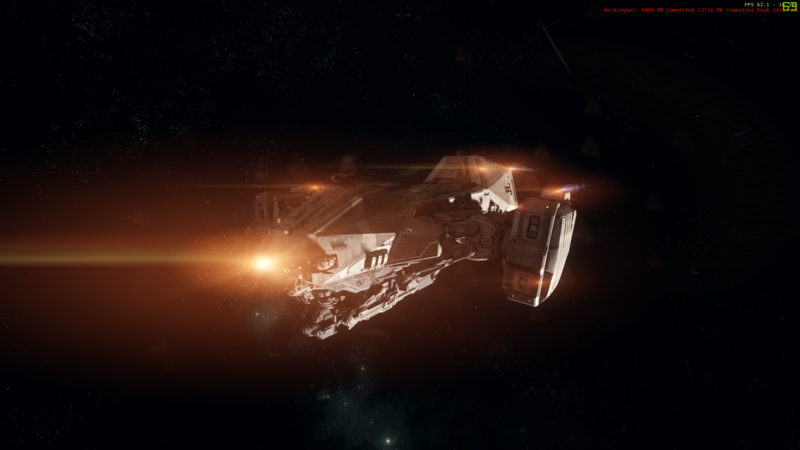 My friend already has a Carrack that we will use for long expeditions but presumably I’m going to want to log in every now and then and do some casual exploring on my own. I currently have a Reliant Kore (and a Redeemer) that I was thinking of upgrading to a Sen or a 315p but can’t decide which. Anyone have any advice/suggestions? Lorville ? You'll have a problem..
Melting and unmelting a CCU? So I have a Vanguard Sentinel with LTI. It was originally a Hawk LTI. It was CCU’d to a Hurricane... then CCUd to a Vanguard Sentinel. If I melt it, I get the value of the sentinel, but if I go to buy it back, can I rebuy it only as the Vanguard with LTI? Or do I have to unmelt the Hawk, then the CCUs? Can we please have alien ships that are not meat for fighting, war? I really want an alien spaceship, since I am tired of human ship designs. But, would be nice to have exploration, haulers (entry level), miners etc., that allow you to make some money. If you're not into war, there is currently no reason to buy these awesome looking alien ships. BMM change to same price ship? so i wanted to change my bmm to a crucibal, but it says to me its not available . They both have the same price and are available right now, is it not possible anymore to change to same price ships? I own a bmm and i dont want a 0 dollar ccu, just a change of ships. What did i forget? [question] Cutlass black or Sabre? [question] I was thinking about trading in my avenger titan, so what do you think the best option would be? I would like a ship with good superiority and combat readiness. I want either a Sabre or cutlass black, but I can’t choose? Don't know if it's against rules to copy posts, but after reading the side-bar I think I'm good. 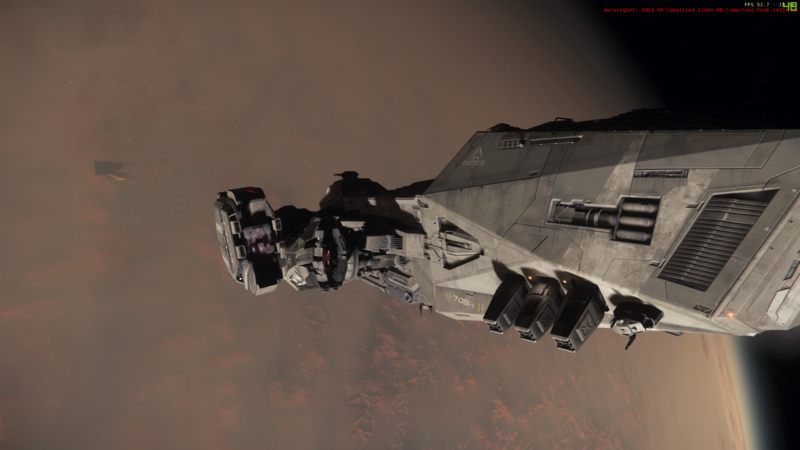 So I decided to do something a bit different, instead of flying around Hurston, I took my Nox out for a ride from Perimeter Gate 6 to test out how it feels. AB isn't working right, but this time it was, and I was able to zip around at full speed. This had an unintended consequence of having me slamming into the ground from time to time as it failed to keep me from hitting sudden peaks in terrain. Eventually, I reached my destination, a savannah biome I know about (No telling, get out there and explore!) noticed that there was something odd about the front of my bike. Figured it was some of that procedural damage that CIG has put on most if not all the ships in the game now. But then I turned my light on and looked closer. That's when I realized it wasn't just damage (though a chunk at the top is missing), it was actual soil that had clung to my hull from the impacts! 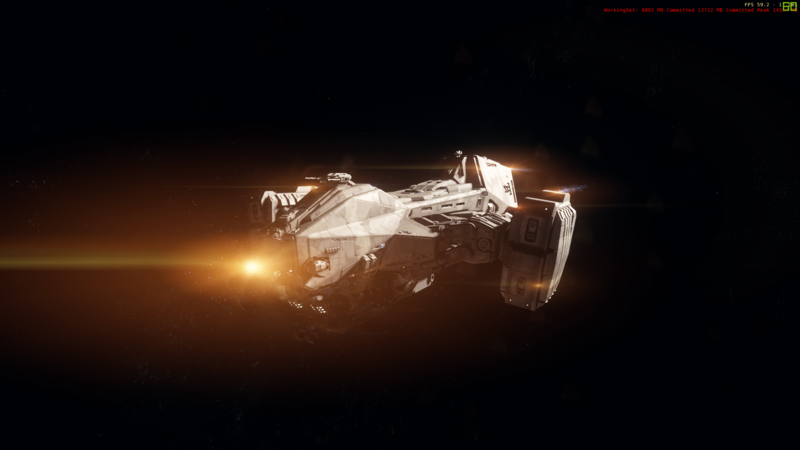 No mention about this mechanic from CIG whatsoever as far as I know, it's going to have me watching my landing gear and boots for dirt in the future I'm sure. It's so cool that they bothered to do this, I wonder if it changes colour based on the soil? 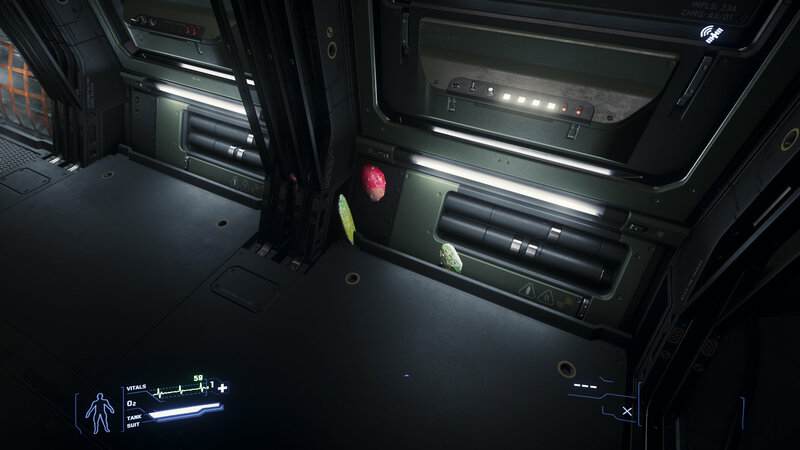 Great work CIG, sometimes it's the little things. Someone has previously asked this question, however it's been archived and there were no replies (that I can view at least). I now need to change my CC details on RSI site/Stripe as well. > Can anyone tell me how to change the credit card info being used for the Stripe payment on my RSI account? I can't find anywhere in billing and subscription, and there is no option to modify the stripe information when I am making a purchase. Should you buy the San'Tok.Yai? Out of bounds Lorville fun! 6 x Arrows and a Gladiator or 3 x Super hornets and 2 x Arrows. 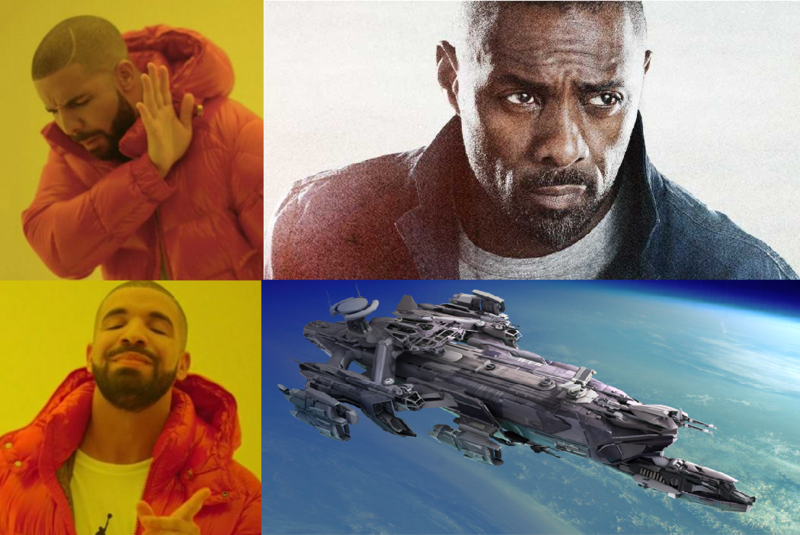 If you had the choice between the above options, what one would you pick for your Idris hangar? Is the vanguard warden overpowered? Recently purchased a warden and threw the bearing l7 laser auto cannon on it and boy does it wreck. Friend of mine an .org i belong to says it’s way to maneuverable, arguing it can take a Sabre on in a turning fight. New recruit looking for a community that matches your play style? There are thousands of Organizations to choose from, and every one of them needs members! Threads for Organization advertisements can be found here. The LFO thread can be found here. The Organization section of the RSI website can be found here. Hope to see you all in the 'verse! Wanted to simply say, god I love OCS, and I cannot wait for it to be optimised further.... gimme that 120 fps soon. Ps. No flair for Appreciation? Any idea what ships will fit in the Polaris? Is the Glaive available for sale ?